I have been speaker-lees for some years now; well not entirely I have a B&O Beo-1 CD-payer, sounds kind of okay, but nothing fancy. 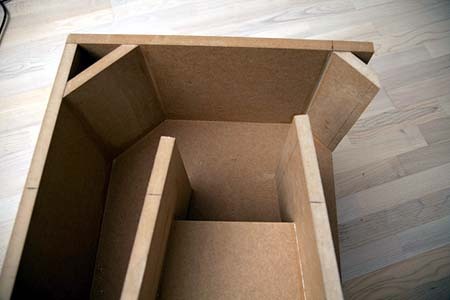 So after at lot of investigations and many thoughts Im going to build my own High Fidelity loudspeakers, following the DIY (Do It Yourself) path from the F3/Lyd loudspeakers I made back in the 80ties. On the path to the decision I have been listening to 3 different B&W (Bower and Wilkins) loudspeakers in the shop HiFi-klubben in Elsinore. 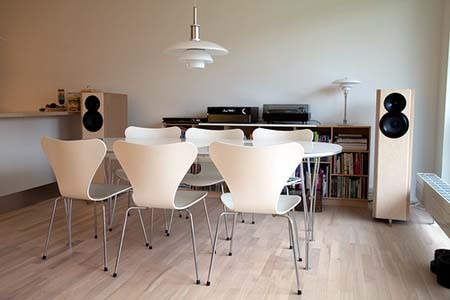 The CM07, XT8 and 804S, speakers in the price range from DKK 6.000 to 15.000 each. 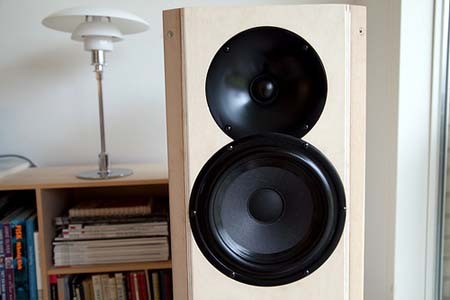 B&W are a very serious loudspeaker firm manufacturing reference speakers to studios and other high-end business. 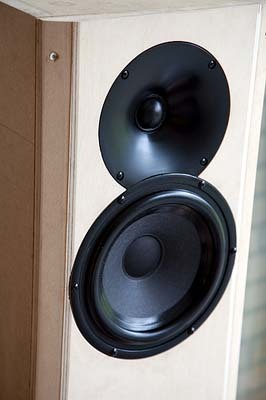 The top speaker costs a stunning DKK 72.300. There were no doubt in my mind, the 804S were the better of these, but Im not ready to pay DKK 30.000 for a pair of speakers at this time, though they sound brilliant, with well defined sound in the mid- and high-range, and also plays a fairly solid bass. 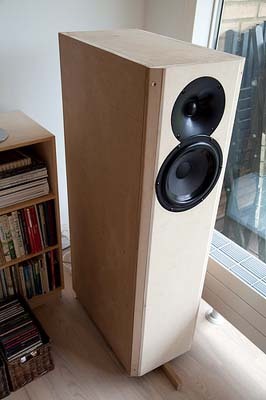 The DTQWT are designed by Troels Gravesen in 2008 and are, in his own words, the best speaker to date. 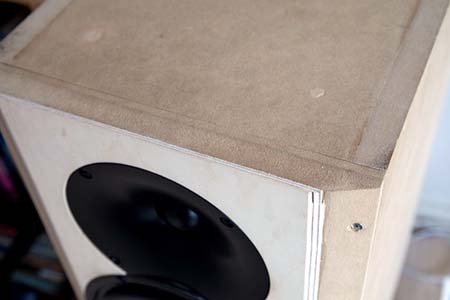 Troels have been experimenting and developing speakers for several years and have an impressive range of speakers behind him, based on his informative website I would guess Troels have made at least 30 speakers to date. 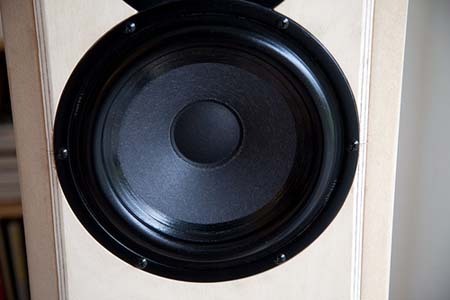 The DTQWT are not a small speaker with a volume on almost 150 l. and two 10 bass units. 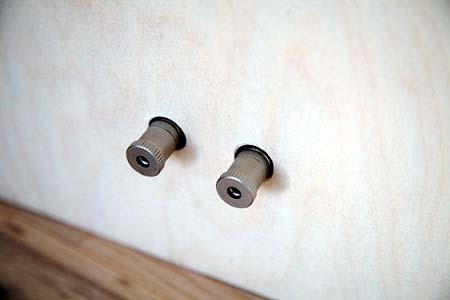 The bass units are mounted in the back of the cabinet, and on the front theres a tweeter and an 8 midrange unit. 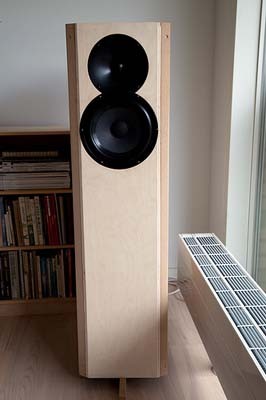 The midrange speaker JA8008 developed also by Troels in collaboration with SEAS, a well renowned Norwegian loudspeaker manufacture. 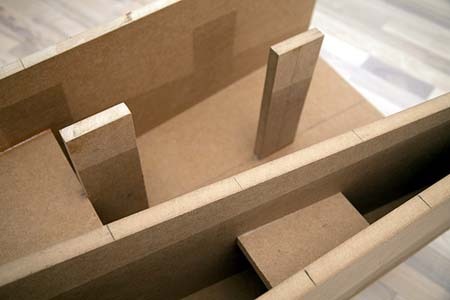 So based on specifications and drawings on Troels website in will take on this project, the cabinet are not easy to build and I will need all my handicraft skills in the process, but this is a very important part of the process, and Im looking forward to this. I expect, based on the quality, feedback from users around the world and expenses going in this project that the DTQWT overall will play far better than the B&W 804S. 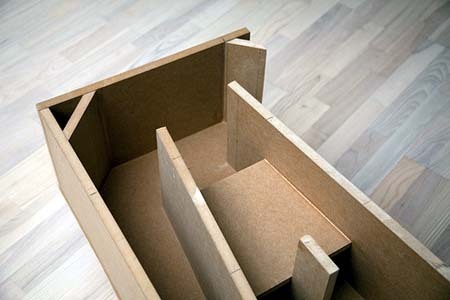 I might tweak the dimensions on the cabinet to reduce the depth of the cabinet a bit. 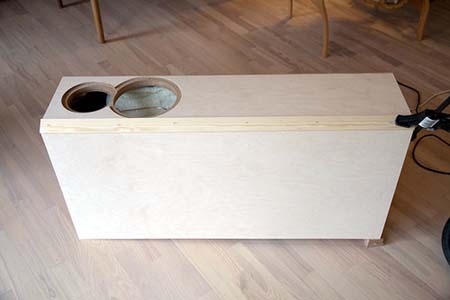 I have been emailing Troels a few time, and he was kind enough to reply and comment on my questions about the DTQWT and also on some alternative baffle speakers projects I have been looking at. 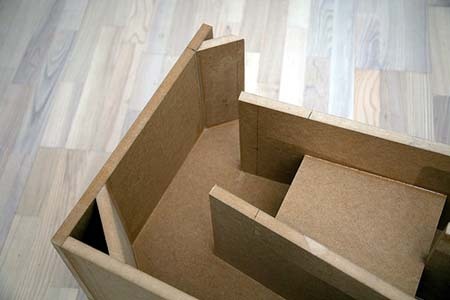 So I want to thank Troels for sharing his design and skills, and also for his time answering my questions. 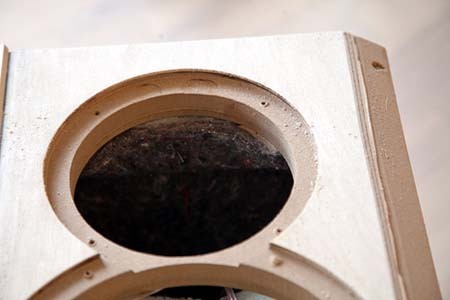 Finished the speaker project last week. So finally the DTQWT speakers are in a state where I can listen to them. And this is a great joy. Actually I finished the speakers two weeks ago, but some trouble with my new HARMAN/KARDON amplifier did set me back for some days. The new HK-990 amplifier arrived with no sound at all in the left channel. 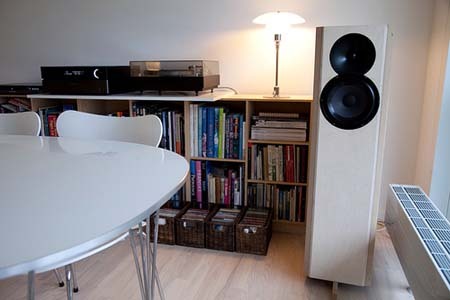 And listening to the new high end speakers in a mono set-up were a bit dull. The amplifier had to go to a shop in Helsinge to be repaired. Initially I was told that the repair would take two weeks. I was not happy with this at all, and I decided not to let this pass, so after some discussions with the dealer I was told they would fix the problem within two days. So after the weekend I collected the amplifier at the shop Monday afternoon, just to experience another fault in the electronics. The amplifier would start up, then flash the message AMPLIFIER PROTECTION and simply turn off again. I went back to the dealer and told him I wanted a brand new amplifier instead of the broken one. After some time I received a email stating that I would get a new amplifier. 3 days later it arrived  and no trouble with this one. In the meantime my plus 30 year old DENON PMA-630 amplifier had the job of braking the new speakers in  so it got its renascence, and worked like charm. After the arrival of the new amplifier I can tell that quality sure have improved over the last 30 years, sure my new machine are a bit pricier  but still a enormous improvement. The speakers are big - around 150 liter in external volume, with two 10 bas-drivers on the backside, a 8 midrange driver and a 1 tweeter on the front. 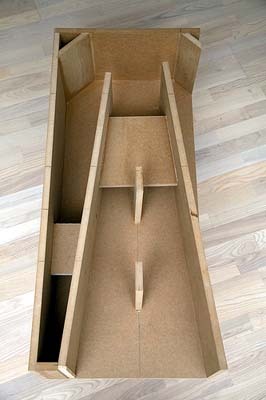 The two bas driver runs in a transmission line, or tube open in the bottom of the cabinet. To be more precise all the drivers feed the transmission line. The sound in the lower frequencies is benefiting the most from this setup. And the result is a deep, very deep bas, crisp and solid. The midrange is very pleasing and well defined. So my spare time have been spent listening and enjoying that quality sound are back in my life after some 25 years with designer speakers. And my current set-up are surely the best I have had in my lifetime -by far. I have been busy experiencing my old CDs and LPs all over, enjoying details and deep bas I have never heard before.